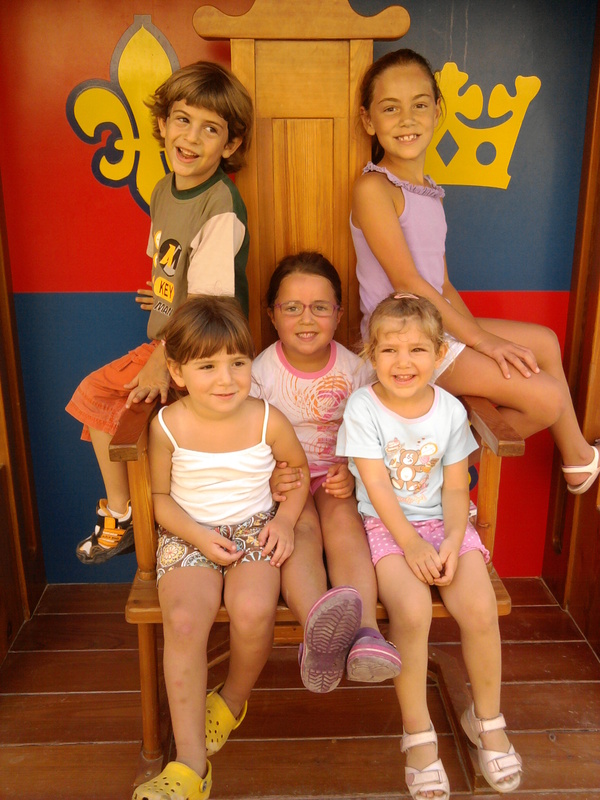 Posted by sunflower71 in activities for children, Life with 3 princesses, Summer 2012. This place has also some excellent snacks. After chocolate muffins and ginger breadmen and juices for the kids, and coffees and freshly baked Belgian Chocolate croissants and coffee for the mummies we took this photo. I admit it was very very tough to get all 5 looking in one direction. 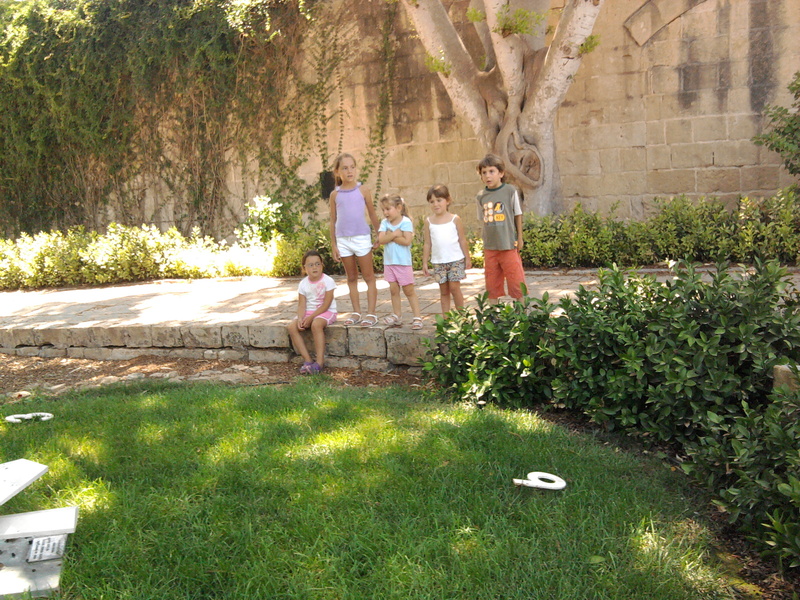 Finally all hot but happy we found our way back to the cars through San Anton Gardens. At the clock we stopped to watch the giant minute hand moving while counting it’s 60 seconds to the next one. 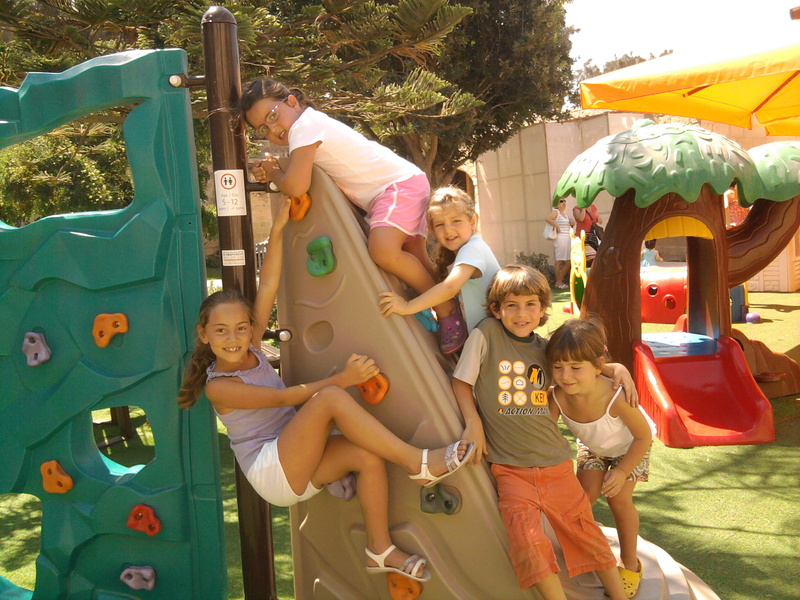 Posted by sunflower71 in activities for children, Holidays, Summer 2012, Uncategorized. It came upon us before I could notice. The scholastic year 11/12 had been even more hectic and demanding on me more than I had imagined. The lack of blogging shows just how many free minutes I found to update this space and keep a record of our comings and goings for the girls to read one day. June was characterised by heat. So the benefit of half days for the girls and myself (one of the major benefits of working as a teacher is that my ‘formal’ working day ends at noon as the girls’ school comes to an end) we spent quite a few afternoons at the beach with other teacher colleagues. Thanks to them I found the courage to take 3 little girls to the beach without my man. Catherine is a still learning how to swim. Maria is nearly there but needs constant watch and Francesca still has no clue how to keep afloat without support. 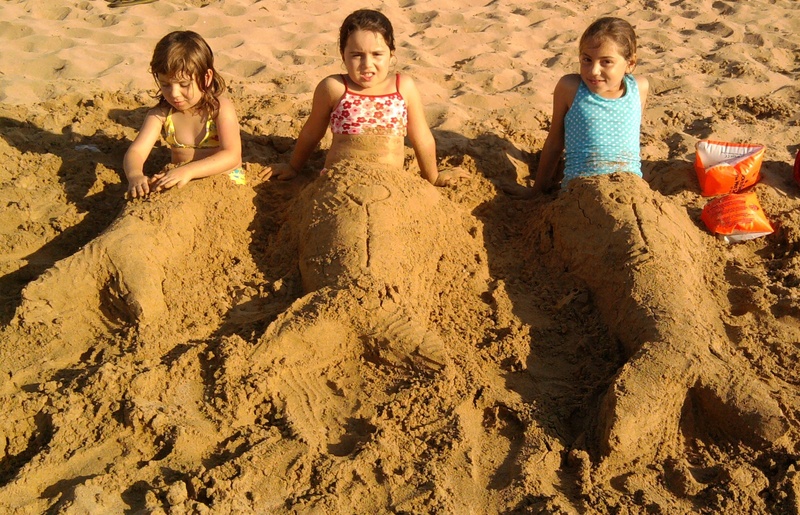 Here they are ‘dressed up’ as mermaids with decorated tails courtesy of a dear friend and colleague who helped me mind the girls at the beach and who the girls have come to love dearly.